The term Noxious Plants is a general term that includes noxious weeds and invasive plant species. They are defined as plants that harm agricultural lands, pose harm to humans, resist chemical controls, clog waterways and ponds, displace native plants, and alter soil composition. These plants, with a few exceptions, are generally not recommended for use. Keep in mind that some very popular grasses, such as bermudagrass and Kentucky bluegrass, are considered to be an invasive species in certain states. In some states it is actually a misdemeanor to have these plants on your property and not kill them. Kudzu found growing in Missouri is an example. I have not personally seen the law enforced, however. 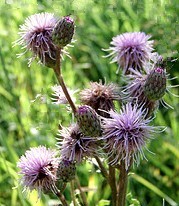 Many noxious/invasive species have been introduced from other countries. Some species find conditions in the U.S. and Canada even more conducive for growth than the plant’s country of origin. In addition, insects, diseases, and other natural controls that helped keep plants in line in their home country were not always relocated with the plant. Each of the plants listed below are considered noxious or invasive plants for specific reasons. These pages offer weed names, weed identification with weed images and control methods. This is a new section and more invasive weeds will be uploaded in coming days. Kudzu is an fast growing and aggressive plant that covers everything in its path. Nothing of off limits as it covers fields, fences, trees, and even whole houses. Find out its uses, as well as, how to stop this vine. Poison ivy causes severe rashes, itching, and blisters. 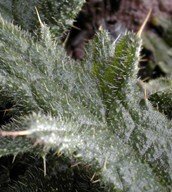 The best way to avoid this toxic plant is to be able to instantly identify it. Find help on identification and well as other important information. Nimblewill is a perennial grassy weed that resembles bermudagrass. It is most prominent when growing in cool season grasses and is difficult to kill. Find information on identification and control of this invasive weed.